As well as working as full time IT consultants, many of our trainers are well known for their study guides which are all for sale. 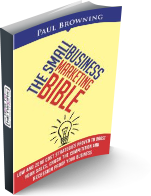 Please check out some of our books below. Click on the image to get more information. 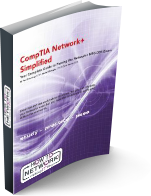 CompTIA is the world leader in vendor-neutral IT certification exams. Every year hundreds of thousands of students take their exams in order to start their IT career or verify knowledge they already possess. There is nothing like this product on the market. 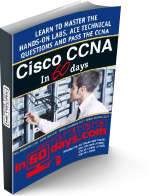 It will test every facet of your hands on skills and help you to blast your way through anything they can throw at you in the CCNA or CCENT hands on test in your exam. The Cisco CCNP ROUTE exam is one of three exams you must pass on your path towards becoming a CCNP. The CCNP ROUTE exam will not only test you knowledge of Cisco specific and industry standard practices but also your hands on skills. The Cisco CCNP SWITCH exam is one of three exams you must pass on your path towards becoming a CCNP. The CCNP SWITCH exam will not only test you knowledge of Cisco specific and industry standard practices but also your hands on skills. Cisco CCNP SWITCH Simplified has been written by two Cisco experts – Farai Tafa and Paul Browning. 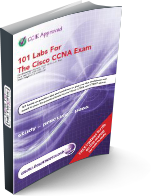 The Cisco CCNP TSHOOT exam is one of three exams you must pass on your path towards becoming a CCNP. The CCNP TSHOOT exam will not only test you knowledge of Cisco specific and industry standard practices but also your hands on skills. 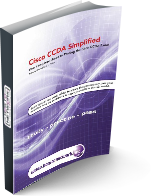 Cisco CCNP TSHOOT Simplified has been written by two Cisco experts – Farai Tafa and Paul Browning. 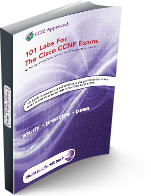 Knowing the theory alone is no longer enough to pass your Cisco CCNP exams. 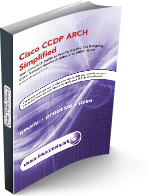 Cisco has recently made some very big changes to the way they test CCNP engineers. You are no longer required to pass four theory-only exams. Instead, you are faced with three very difficult exams, which concentrate on routing, switching, and troubleshooting knowledge and your hands-on ability. Designing networks is one of the most challenging and rewarding careers a network engineer can choose. You will have to forge close links with vendors and your customers and deal with installation engineers on a daily basis as they turn your designs into live networks through installation, testing, and handover phases. If you want to be or are a network engineer or even in PC support you need to understand subnetting. The problem is, most of the so called IT experts make it so difficult to learn! 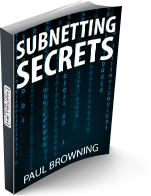 Subnetting Secret was written by somebody who read all the books and then threw them away and worked out the easy way to subnet. Sure, you learn the long way first using binary math but in the real world, for exams and technical interviews you need to be able to answer subnetting questions in about 20 seconds! Colin Brown (Freelance Programmer) – I'm just starting out after leaving behind the corporate world. I know I'm really good at what I do but I had no idea where to start with marketing my skills or who to approach. I found this book by accident and took a risk that it wasn't the average business book full of theory and jargon.